330 in stock Need More ? (15) Suitable for 15 years and over. 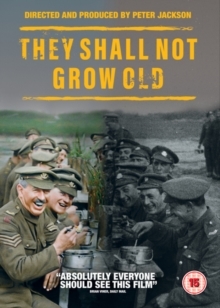 Documentary about World War I directed by Peter Jackson. Using state-of-the-art digital technology, Jackson transports the modern day audience back to World War I using black and white archive footage which he has restored into full colour.